A triple album is a lofty ideal within any musical genre and, historically , an undertaking best suited to rambling rock operas and long-winded psychedelic explorations by the likes of Rush, the Grateful Dead and Frank Zappa. 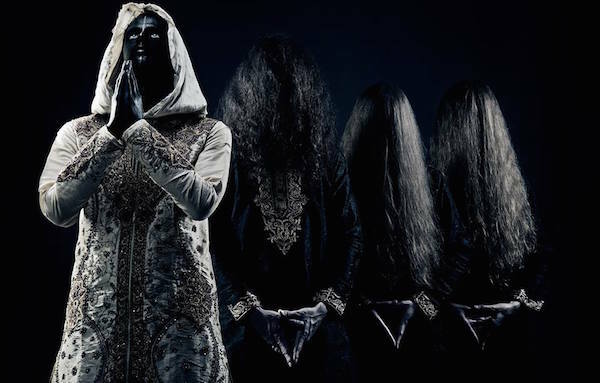 Schammasch have, however, grown out of their blackened death roots and risen to the challenge with Triangle, an exploration into evolution and enlightenment . If ingested as a single dose, Triangle is a rough pill to swallow. Not in terms of the production – every snarling vocal, every venomous stab of guitar is tuned to silken Swiss-engineered perfection – but in terms of the emotional intensity attached. From the first ringing open chord of ‘Crepusculum’ (that seems lifted directly from Satyricon’s ‘Phoenix’) to the throbbing echoes that close off ‘Empyrean’, every single sound is an exercise in barely restrained malice that leads the listener to question their place in the hostile vastness of the universe. The first of the three mini-albums (each clocking in at approximately 35 minutes), The Process of Dying, is probably the easiest to digest, continuing in much the same sonic vein as 2014’s Contradiction – itself a double album. In short, listeners can expect irreligious doom-tinged black metal that evinces equal parts Behemoth and Tryptikon in its approach. While the Swiss influence of the latter is probably to be expected with a band hailing from Basel, Schammasch rise above the conventions of both blackened death and doom stereotypes – the tremolo-picked ferocity of black metal and the reverb-drenched riffing of doom, for example – and deliver a melodic, thoughtful and, above all, restrained breed of extreme metal that is entirely their own, despite the obviously identifiable influences. It is this restraint that really characterises Schammasch, though: even when things get pretty damn heavy, like on ‘In Dialogue with Death’, you can feel the band keeping their cool, as if they are always holding something back . And it must be something severe, given the emotional abrasiveness they already inject into their music. The guitars are always melody-driven, rather than rhythmic; the vocals, while predominantly guttural, are chanted rather than screamed; and the drum work, while sufficiently driving, is sensitive in its application, as opposed to a straight-up underlying blast beat texture. The resulting impression is one of control, the type only achieved when being delivered by a band that knows exactly what it is doing and what it wants to accomplish. Further reinforcing this methodology is the introduction of clean singing and choral passages throughout. On the first disc, these mechanisms serve to soften the blow (the second half of ‘Consensus’ illustrates this beautifully) but on Metaflesh they come into their own – often entirely eclipsing the growls that dominate the first disc. ‘Satori’ showcases this as the band playfully mixes spoken word, shouts and clean choruses in a sweeping composition, culminating in a pure vocal, hymnal close. And it isn’t just the singing that receives a progressive treatment: ‘Above the Stars of God’ also eschews traditional black metal guitars in favour of semi-improvisational lead work that wouldn’t seem out of place on a Pink Floyd album. If the second part of Triangle strays into progressive territory, the third act, The Supernatural Clear Light of the Void sublimates entirely into the realm of avant-garde. Not only does the instrumentation shift into a far more varied, experimental phase (see the brass section on ‘The Third Ray of Light’ as a shining example) but the percussion becomes a more minimal, primitive subtext that emphasises a trance-like state of being. The vocal performances also take on this hypnotic role, often abandoning words altogether (‘Cathartic Confession’ and ‘Jacob’s Dream’ both employ this) or eerily whispering in a manner reminiscent of Warduna’s neo-folk stylings. But even though the metaphysical message of death and the afterlife is delivered in this semi-acoustic, ambient package that defies the conventional ‘metal’ categorisations, its sombre, introspective tone is a distillation of black metal atmosphere. 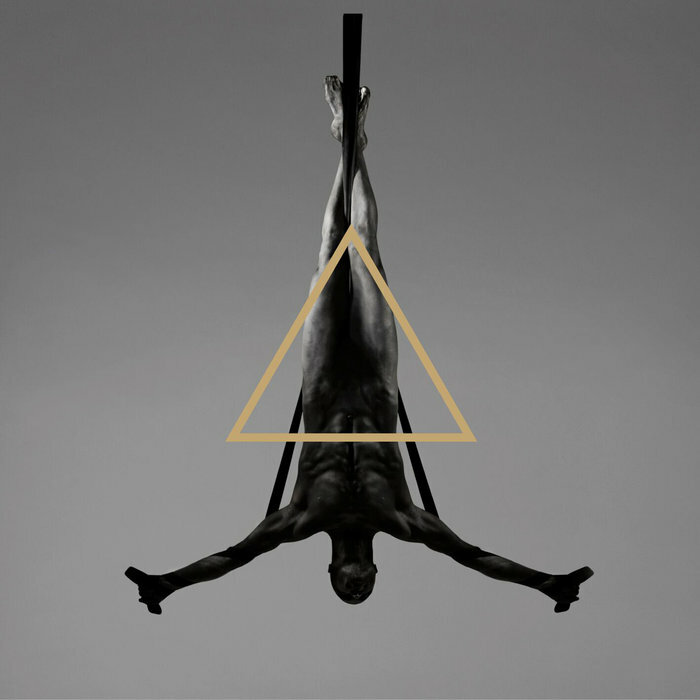 In summation, Triangle is more a piece of performance art  than a metal album. 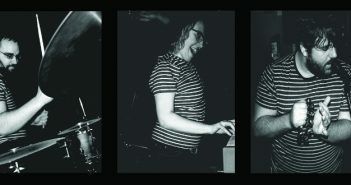 The accompanying visuals, built around minimal figurative photographs, the band outfits and the care and craft put into the sixteen compositions all speak volumes about a band that is less concerned with appealing to a narrow cross-section of the metal audience than it is with spreading their deeply personal message in a vehicle entirely of their own design. It is even plausible that this lofty artistic standpoint may come across as pretentious, but the more esoteric elements of black metal are no strangers to the alienation this can cause. The cerebral nature of the music – particularly the second two discs – may put off less seasoned listeners, but Schammasch’s disregard for genre boundaries will simultaneously generate appeal within a different audience. The only negative criticism I can personally give for Triangle is that individual songs, taken out of context, lack the pre-emotional, affective intensity they have when experienced as part of the deeply moving 100-plus minute whole. 1. A list compiled on Wikipedia shows a far smaller cross-section than I expected – after compilations, anthologies, live recordings and singles collections are excluded, this list gets even shorter. 2. The interview with frontman Chris S.R. on MetalInsider goes into great detail regarding the process that led up to this spiritual exploration. 3. Sic Lvceat Lvx, originally released in 2010, already exhibited the self-imposed limits Schammasch place on themselves, but with nowhere near as much mastery as on either Contradiction or Triangle. When Schammasch embraced more traditional black and death tropes (‘The Venom of the Gods’, for instance) on this record they delivered a far more authentic product. 4. The video for ‘Golden Light’ off Contradiction (which can be viewed on YouTube) is further evidence of the avant-garde, conceptual approach Schammasch apply to the visual aspect of their music.